Frank Quitely's amazing, finely detailed artwork has been gracing the pages of DC Comics since he began illustrating stories in THE BIG BOOK series, from DC's Paradox Press imprint, in the mid-90's. Quitely quickly earned a name for himself illustrating fellow Scotsman Grant Morrison's FLEX MENTALLO, JLA EARTH 2, as well as Neil Gaiman's SANDMAN: ENDLESS NIGHTS. 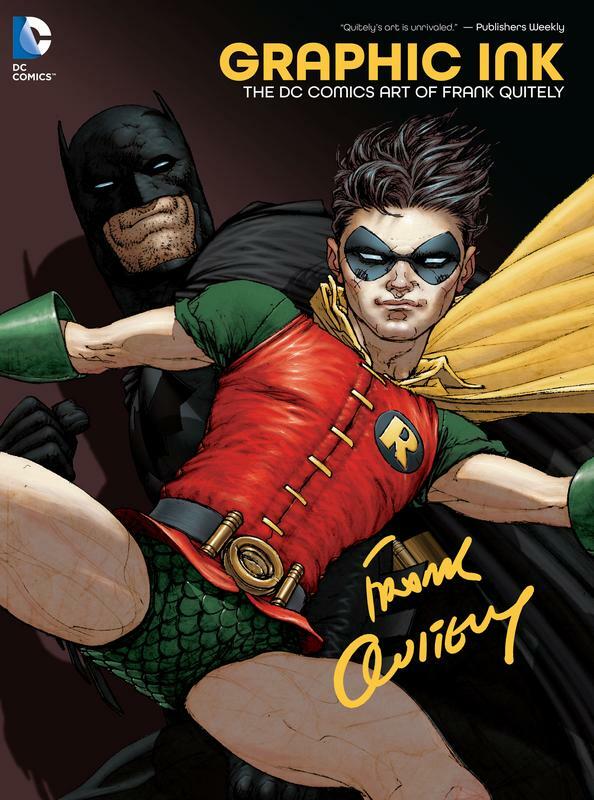 Graphic Ink: The DC Comics Art of Frank Quitely collects all of Quitely's BIG BOOK stories, his ALL STAR SUPERMAN and BATMAN & ROBIN: REBORN covers and much, much more!